In order to use Dynamic SMS, each user needs to have the Dynamic SMS User security role. From the list of Security Roles, select Dynamic SMS User and click Ok. This sections explores creating and sending individual SMS Messages. The SMS activity entity contains all SMS messages. Please access the Activities records and select SMS. The All SMS view displays all SMS activity records. 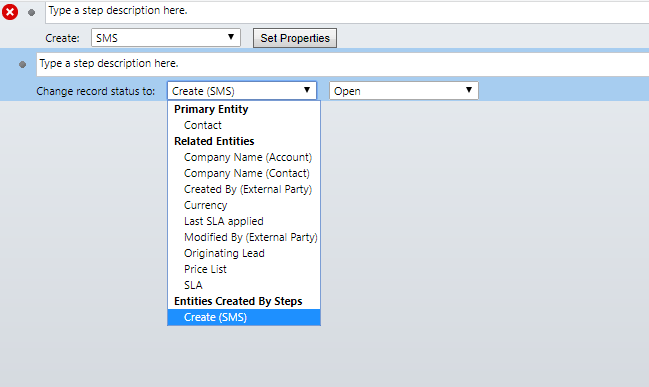 To create an SMS record, select SMS in OTHER ACTIVITIES. Recipient Type: can be any record: Contact, Lead, Account. 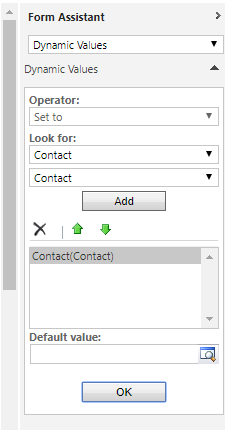 To Contact/Account/Lead: This field is a lookup field, based on the recipient type selection. 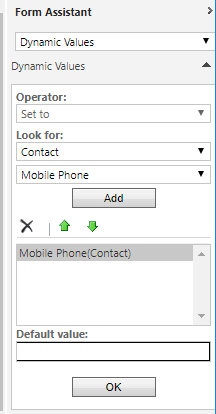 Mobile Phone: Once the previous field is populated, a process will automatically populate this field with the mobile number of the Contact/Account/Lead selected. The mobile phone number can be overwritten manually. Subject: A text field to specify the SMS subject. The content of this field will not viewed by the recipient. Message: This text box is used to input the message content. Save the record. The SMS record will be created with Status Reason: Open. To send an SMS record, press the SEND button. The record's Status Reason will be updated to Pending Send. Once the SMS is sent the Status Reason will be updated to Sent and the record will no longer be active: Status: Completed. The "Bulk SMS" entity allows sending the same SMS to a large number of recipients. The bulk SMS record will create individual SMS activity records. Select the "Bulk SMS" entity. Marketing List: Lookup field. Both static and dynamic marketing lists can be selected. In addition, the Name is a read only filed that will be automatically generated. Click the SEND button. A process will create an individual SMS activity record for each contact/lead/account on the marketing list assigned. When the process of creating individual SMS records is complete, the Status Reason will be updated to Sent and the record will be Inactive. Note that this implies that all the SMS records have been created not sent. On the Bulk SMS form a sub-grid of individual SMS records displays the status of each record created. The records can be accessed from within the sub-grid. 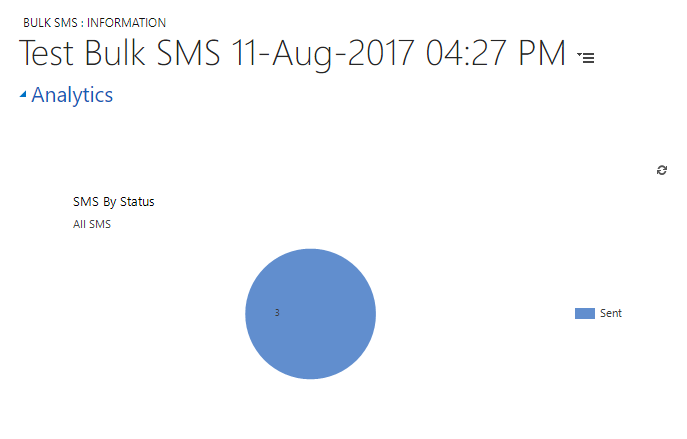 An Analytics section displays chart statistics regarding the Bulk SMS record. 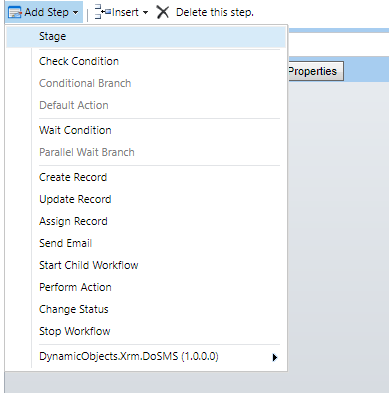 This section explores sending automated SMS messages using Microsoft Dynamics CRM/365 workflows. Go to "Settings" and Select "Processes". 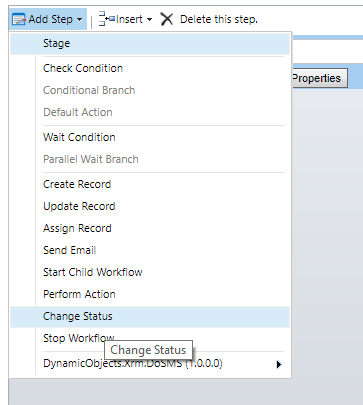 Press New to create a new workflow record. Name the process, specify the Entity and select the Category: Workflow. You can create different conditions and triggers for sending an SMS message. 1.Add a Create Record step. 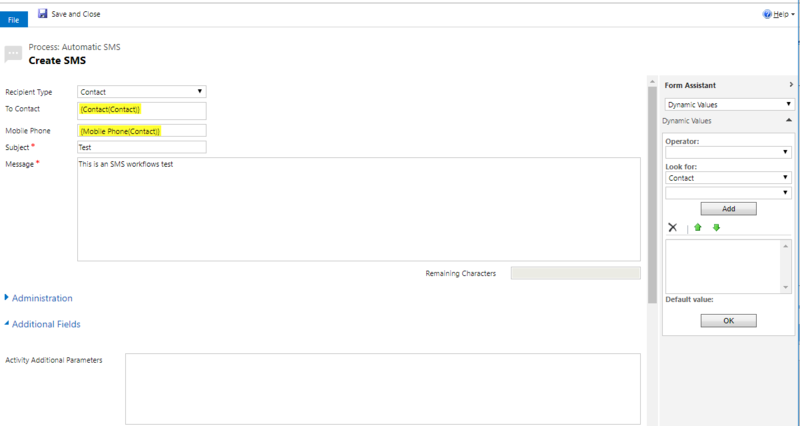 2.Select SMS as the entity type.